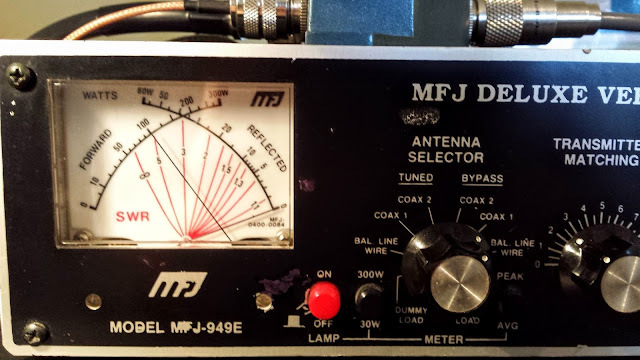 The Windom (or OCF Dipole if you prefer), offers a true multi-band, experience without much use of a tuner. The tuner in the images below is in BYPASS mode. I'm using it to demonstrate the resonance of the Windom on different bands. If you're not familiar with reading a cross-needle meter, the needle pointing to the left is the forward power (transmitted) and the needle pointing to the right is reflected power. You read the intersection of the two needles to determine the SWR. The red, curvy lines in the middle are the SWR based on the intersection of the two needles. 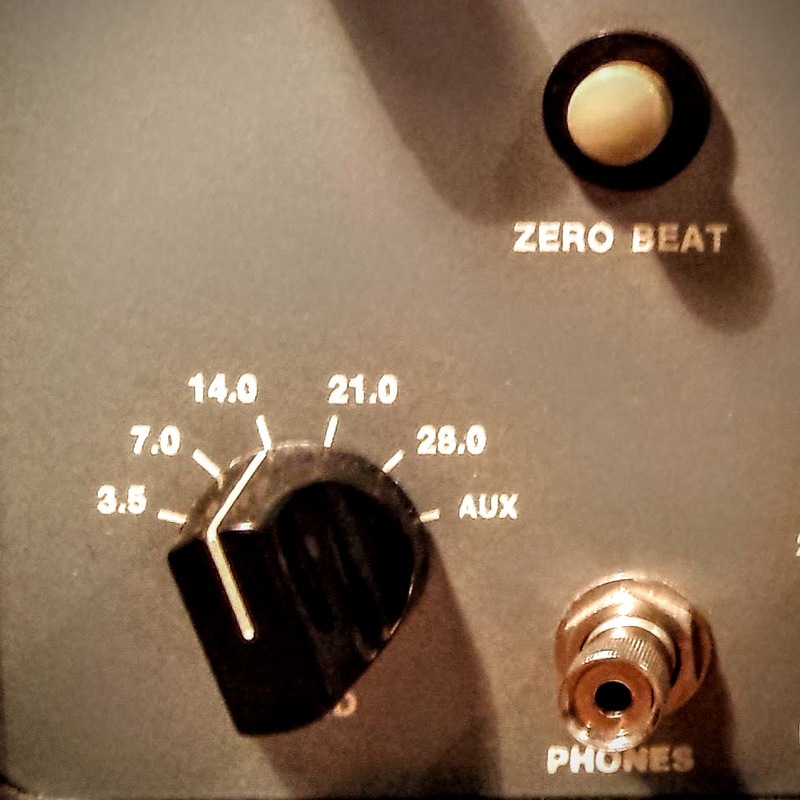 It sounds complicated but it's so easy to view at a glance it's much nicer in my opinion than a digital SWR display. 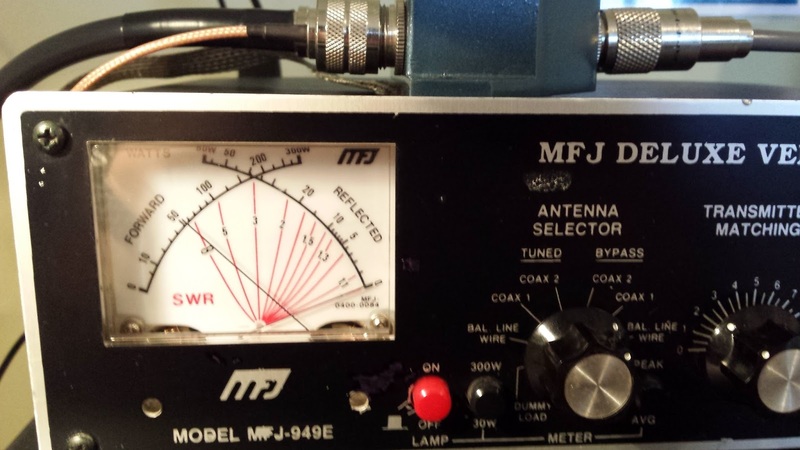 This antenna is resonant with a SWR of 1.1 or below on 80m, 40m, 20m and 10m. 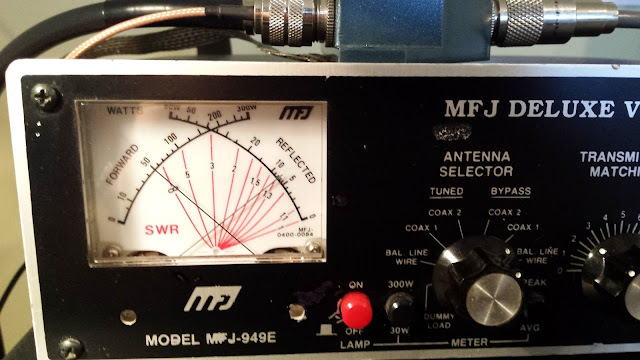 So in the days of auto-tuners maybe this isn't that big a deal except that SWR does eat some power in the coax and if your running low power then your 5w may become 2w without you realizing it. For older rigs that don't have an auto-tuner like my Ten-Tec Century/21 I don't have to worry about tuning at all except on 15m. It's also nice to just have the simplicity of transmitting into a wire without a inductance / capacitance circuit in-between. The apex of the antenna is hung from the peak of my roof. The coax attaches to a 4:1 current balun with the positive side of the balun feeding the longer wire. The shorter wire is 44 feet long and is supported at the apex height of 25 feet by a birch tree in the front yard. The long end of the antenna is 89 feet long and runs into the back yard. It is supported 12 feet off the ground by a fiberglass pole until I get a piece of wood permanently in place. To tension the wire I have a support rope in the front tree attached to a 5lb weight. This will eventually wear through the rope and when it does I'll probably do it right and get a pulley up there. The support rope for the long end of the wire at the fiberglass pole goes through a pulley to a spring for tension. The line heading to the window is just rope that goes into the window so that I can pull it back to work on it, detach it, etc. 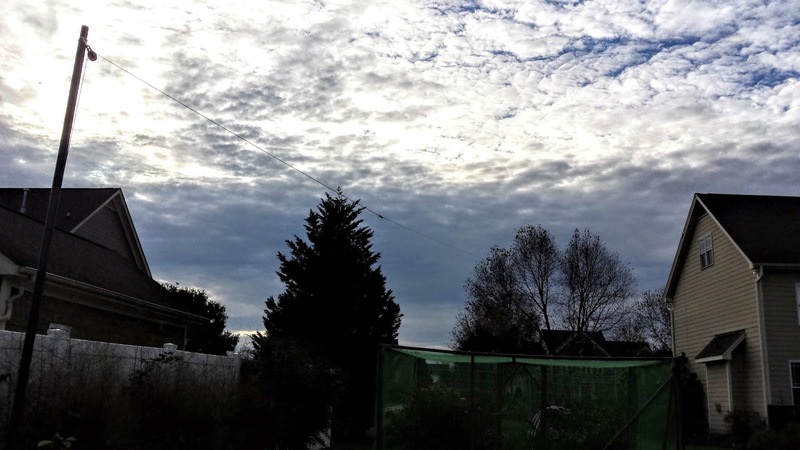 My 40m Windom had lain under the bushes for a number of years before being resurrected this past summer. It was bare wire and the balun was likely wet, corroded and filled with critters. 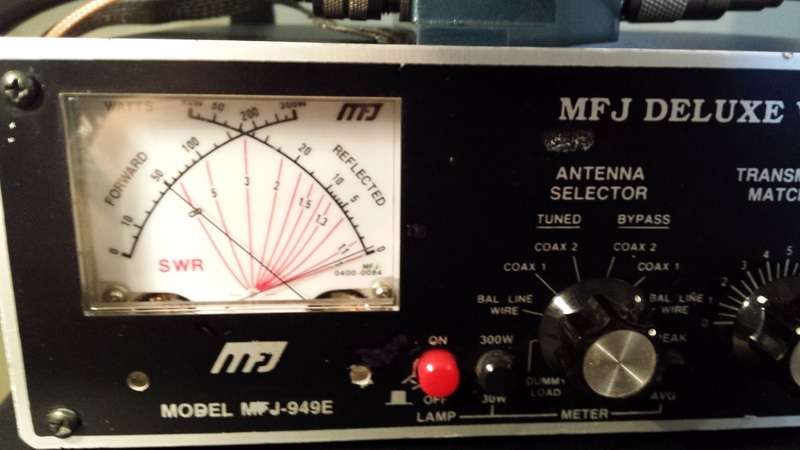 Nonetheless I made hundreds of contacts using it QRP so I'm not knocking it too badly. The issue I had was that it had gone out of resonance for a good match on the bands it was supposed to support and I had to use the ATU in KX3 to touch it up. On some bands the SWR was as much as 5:1 so I was losing some power in the 100ft run of coax to my meager QRP radio. When I recently picked up an old Ten-Tec Century/21 it had no auto-tuner and I'm not a big fan of manually tuning my MFJ Deluxe Versa Tuner II no matter how Deluxe it is. It's just time consuming and if I answer a QSO after tuning around and see that I need to re-tune, well that's just a bummer with a manual tuner. I'm trying to keep my costs down and using an auto-tuner with the old Ten-Tec just didn't seem right anyway so I wanted a resonant multi-band antenna. I had an extra 4:1 current balun from years past and a fellow ham had recently given me a good supply of insulated wire. I also wanted to get an 80m so that all played together to putting up an 80m Windom in place of the 40m Windom. Only this time using some fresh parts. That was a little over a week ago and I've had some time to play with this new antenna. I've received good reports and finally am able to operate on 80m without the tricky tuning of my 40m Doublet in the Attic. 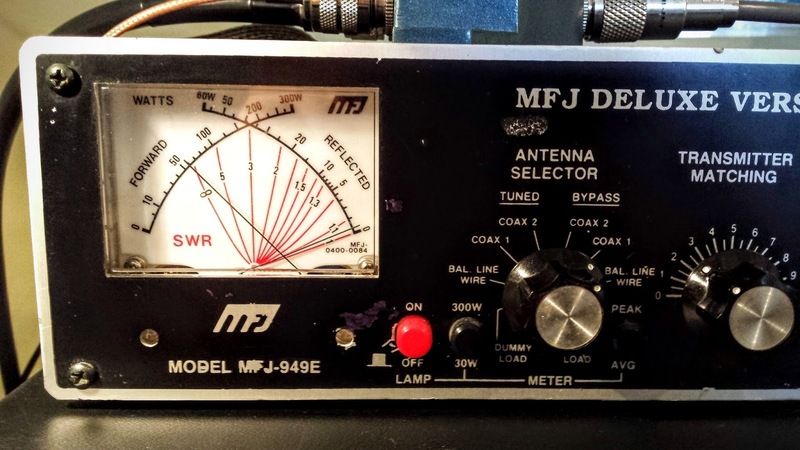 I originally only tested the antenna with my Ten-Tec C21 which had no WARC bands. I was running the KX3 at the house yesterday and found that it also presents an SWR below 1.2:1 on 17m, 12m and 6m. That makes it resonant without tuning and with a super low SWR on 7 bands (80, 40, 20, 17, 12, 10, 6). That is truly an amazing antenna for those who don't like to use a tuner. It requires tuning on 30m and 15m as it is natively 4.5:1 on 30m and 2.5:1 on 15m which is well within the capability of any built-in auto-tuner and easily matched by a manual tuner. It's also nice to just have the simplicity of transmitting into a wire without a inductance / capacitance circuit in-between. - You said it! I would like to have a wire like yours. Great job! I've been doing a lot of reading on the OCF dipole, trying to figure out just where to feed it. The 2/3-1/3 feed (about what you have) seems to be the most popular, but there are other ratios that are also used, depending on which bands you want. I'm quite surprised that you 'ONLY' have a 2.5:1 SWR on 15 meters from what I've read. Anyway, I do have an MFJ 300W 4:1 balum and a 70' roll of antenna wire as I originally thought I'd only have room for a 40 meter dipole. 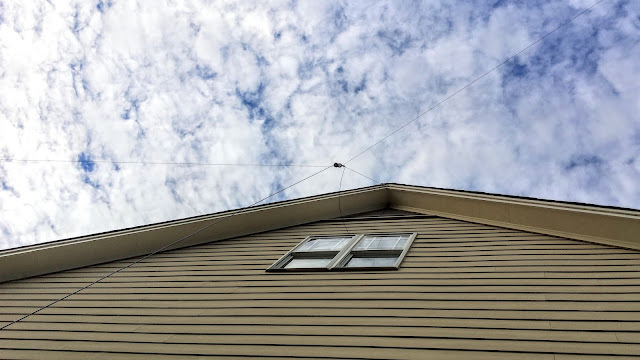 If I 'bend' the long end of the antenna a bit I can fit 133' of wire in the air across my property. 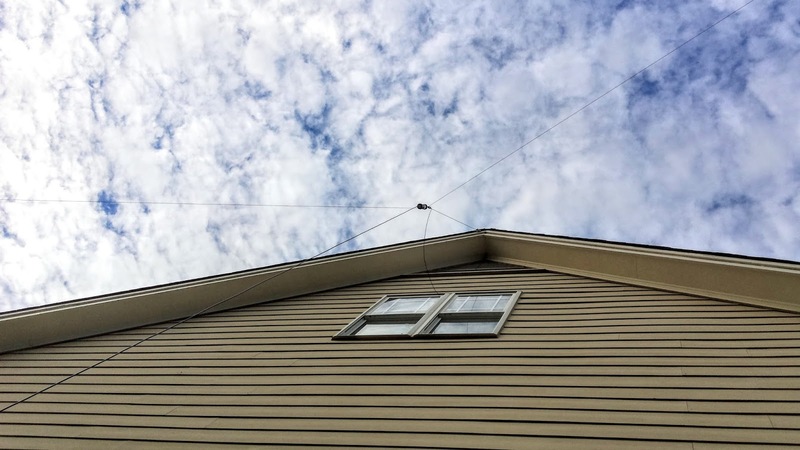 The dipole will be hanging from 4 insulators, the two inner ones on masts, and the outer ones on ropes attached to fences. In this way, by drooping the ends a bit, I can fit 133' of antenna in 120 feet of back yard. I operate from the 3rd story of my house and have a very long ground wire that likely contributes to my antenna in unpredictable ways. I think that is part of why my SWR on 15m is so low. I think it would normally be closer to 4:1 if I was operating the OCF Dipole without that long counterpoise.